Personal branding is an important part of the success of any author, and social media is a strong place to develop and grow that brand. Your tone as an author, your field of interests, and how you communicate with the world should all be considered as your develop your voice on the Internet. While Instagram, Facebook, and Twitter might not be for every author, savvy users of these sites can grow your community of dedicated fans. So, how to begin building a successful social media presence? Start by looking at social media as a way to connect with your potential audience, not as a marketing tool. Authenticity will help you genuinely connect with the kinds of readers who will be your be among your best advocates and fans, which will also help your online presence grow organically. Think about which platforms are best suited to your own instincts and talents. Have a knack for funny or insightful quick turns of phrase? Try Twitter. Are you a visual thinker? Get on Instagram. Once you’ve established which platform(s) you will use, make sure that your tone fits with your audience. If you are a middle-grade author, it’s best to avoid filling every tweet with the most colorful swear words you know. On social media, you are your brand and everything you put online goes toward building that brand. Be a part of larger conversations and get yourself noticed online by using hashtags, sharing articles, replying to other authors, and engaging with your followers. Communicating directly with your followers is a great way to strengthen your online presence and bond you to your audience. Engaging in conversations that relate to specific topics in your book will attract a like-minded social media following. If you as an author are posting about something that’s interesting to a community, the community will take notice. 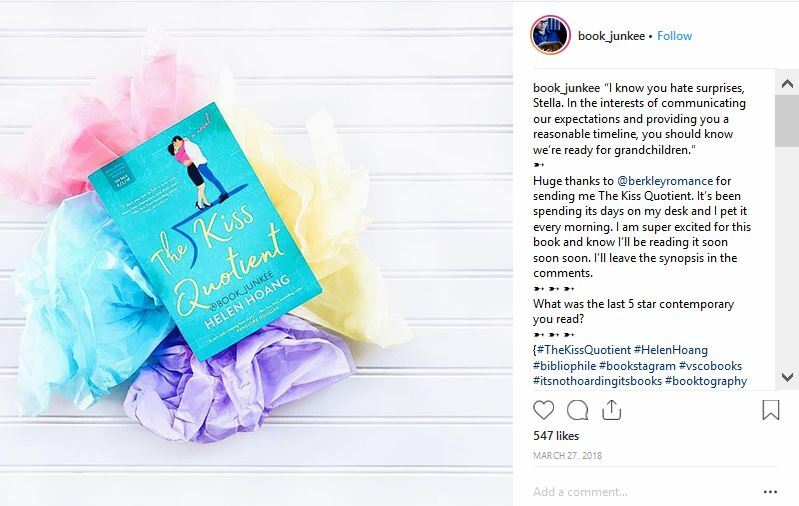 Check out the rest of NetGalley Insights to learn more about getting the most out of social media: Which book industry Instagram accounts to follow, using Twitter to learn more about librarians, and how an independent author used NetGalley to boost her title on Twitter. Librarians are an enthusiastic and digitally savvy bunch, which means that many of them are on Twitter, talking about their libraries, and talking to each other. They tweet about their favorite new titles, and about the daily life of working in a library. 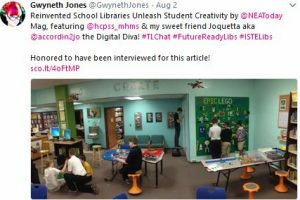 Librarians on Twitter highlight their community programming, while publishers’ library marketing teams announce their new releases and chat with individual librarians directly or via hashtag conversations. Pay attention to the vibrant librarian Twitterverse to get a better sense of what librarians are looking for, what resources they’re using to find new books, and to gain inspiration for new ways to connect with these important influencers. Follow individual librarians on Twitter. Some librarians, like Gwyneth Jones and Shannon Miller are vocal, enthusiastic, and plugged into the wider world of pop culture and media. 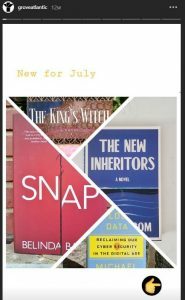 This kind of librarian recommends titles not only to their own library patrons, but to the rest of their digital community as well. Take note of who they are retweeting and which media sources they are linking to to get a sense of which authors they are reading, and whose opinions they trust. If they’re not already on your radar, add those media sources to your pitch list! Looking at these accounts will give you a more personal understanding of who these librarians are and what they are looking for. Follow trade organizations and publications that librarians use to stay on top of news and trends. The ALA is a great resource for librarians, and for you, to stay up-to-date with national legislation, funding opportunities, and trends that impact the librarians across the country. Review journals like School Library Journal or Booklist offer insight into which kinds of stories librarians are hankering after, and can give ideas about how to most successfully position your titles for librarians. Many publishers have dedicated library marketing teams who are focused on serving this specific community. Pay attention to publishers’ library marketing presence and see how they are engaging with libraries and librarians on the platform. 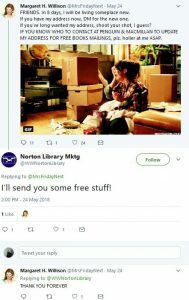 For example, W.W. Norton’s library marketing department reached out directly to librarian and pop culture critic, Margaret H. Willison, to ensure that Norton would still send her galleys after she changed addresses. It was a casual, friendly, and mutually beneficial interaction. Penguin Random House periodically runs a Twitter chat, #AskALibrarian to engage multiple segments of their audience. Librarians get to champion their favorite books across a range of interests, and readers get personalized recommendations from highly trained and enthusiastic professionals. Look at hashtags to see conversations around different topics that are important to librarians. Librarians use hashtags like #libraryreads and #readersadvisory to talk about what they are reading at their libraries and what they are recommending to their community. Get a sense of what kinds of stories librarians are excited to read and recommend. #librariesareforeveryone lets librarians demonstrate the diverse programming available at their libraries, for different ages, demographics, and reader types. You can use it to used to keep up with how librarians are thinking about inclusivity, diversity, and representation in the library space. Use these hashtags to see what kinds of books different librarians’ communities are craving, and use that information to shape the way you market your titles to individual librarians. How have you interacted with librarians on Twitter? Who do you follow on social media to keep up with new library trends? Email us at insights@netgalley.com. We hope to feature your success stories in future posts! At BookExpo, we sat in on the panel discussion “Industry Disruption and the Future of Finding Rising Stars.” Ashleigh Gardner of Wattpad Studios, Sara Sargent of HarperCollins Children’s Books, and Lindsay Summers, Wattpad star, discussed how Wattpad works and how it can be integrated into the workflow of traditional publishing industry professionals. So, today we’ll be looking at how industry professionals such as acquisitions editors and agents, who are tasked with finding and grooming the next great writers, can use Wattpad to stay on top of new trends and new voices. Wattpad is a great resource for staying up to date with emerging trends and finding the newest voices that are resonating with audiences. Acquisitions editors and agents can work with Wattpad’s team directly to gain data-driven insights, and can connect with Wattpad authors directly or through Wattpad’s team. Wattpad is a social media platform for writers and readers. With a global community of 65 million members, it is a vibrant place full of passionate readers and new voices. Most of the stories on Wattpad are geared toward young women and tend toward YA, Romance, Sci-Fi, and Fantasy, although other genres have devoted followings as well. Wattpad writers have had their serialized stories turned into books, television shows, and movies. Wattpad writers are often Wattpad readers as well, creating a communal spirit of experimentation and enthusiasm. Readers leave comments on Wattpad stories, and can even comment on a particular sentence, showing precisely where they are having an intense reaction. Writers and readers have profiles they can use to recommend books to their followers and send messages from within Wattpad. Writers’ pages have a Conversation section for them to chat with their readers and fans. Wattpad makes it easy to see who is trending, and where. You can manually browse stories by genre, and search for what’s most popular within that genre under the “Hot” tab. There, you will see a quick roundup of the most popular stories and authors within that genre. 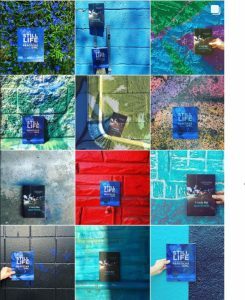 Stories also have tags created by the author, which can give an overview of the subgenres or topics that readers are gobbling up. You can browse tags by genre under the “Explore” tab in a genre category. Agents and acquisition editors can use Wattpad team’s curated lists, including The Featured List and Up and Coming, as resources. Checking in on the most popular trends on Wattpad offers early understanding about what kinds of stories this massive reading community is clamoring for, and whose voice is resonating. Wattpad stars have worked with traditional publishers to turn their serialized stories into novels. When authors bring their viral Wattpad stories to the traditional publishing market, they are not only bringing proven content, they are bringing their audience with them, too. 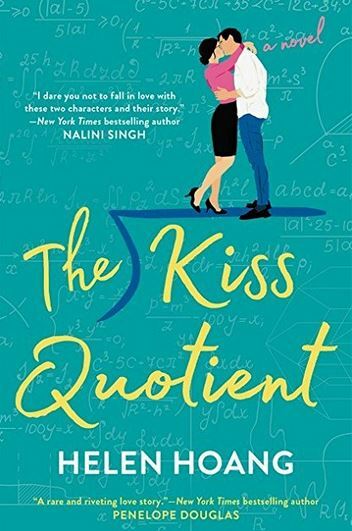 Oftentimes, the traditionally-published book may be edited so thoroughly that the Wattpad audience is excited to see how this well-loved story has been revised, and the readers are able to enjoy both versions. For example, even though St. Martin’s Press acquired rights to White Stag (Permafrost #1), the story will stay up on Wattpad indefinitely. The Wattpad landing page even has a pre-order link to the St. Martin’s Press publication. Agents and acquisition editors can work with Wattpad directly through Wattpad Studios to find authors who would be good fits for their lists. Through Wattpad Insights, publishing industry insiders can subscribe to trend reports with both data and analysis about which genres, themes, and subjects are causing a stir on the platform. Publishers including Sourcebooks, Simon & Schuster, Macmillan, and HarperCollins are already working with Wattpad Studios. New technologies often disrupted business-as-usual, and the relationship between writers and publishing industry gatekeepers, like agents and acquisitions editors, is no exception. Poets like Rupi Kaur gained traction on Instagram before signing with Andrews McMeel, and literary agents are giving advice on Twitter. Wattpad is a part of that disruption, but rather than fear this new iteration of viral, serialized reading, agents and acquisition editors can embrace this tool to find their newest authors. You already know that Instagram is for book lovers. It is full of swoon-worthy photos of gorgeous books (Book Bento Box, Modern Book Design, and Book Baristas for starters). But it is also a great place to keep up with trends in the publishing industry. 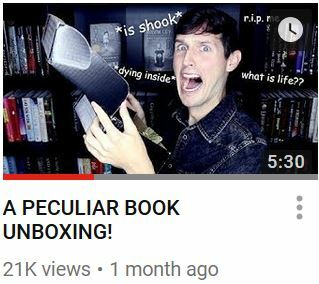 Discover unique community programming at brick and mortar bookstores, see how publishing houses are creatively marketing their books on social media, look at online book clubs to learn what readers are excited about, and get inspired by cutting edge book design. These accounts are some of our favorites in the whole universe of book-loving Instagram. They showcase unique viewpoints and strategies from different corners of the industry that we think you should be paying attention to. As book lovers ourselves, we always want to know what people are reading. 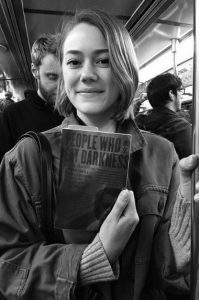 Subway Book Review satisfies that itch by asking strangers on the subway for a micro review of what they are reading at that moment. It’s a fascinating slice of life, in the spirit of Humans of New York, but this account is really a sneak peek into the minds of consumers. Why are people gravitating towards the books they are choosing? How are people finding these titles and where are they buying them? Use this account for some free market research. 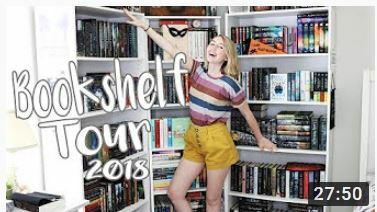 The Spines, aka book blogger Megan Prokott, might not be the biggest book-loving Instagram account, but she really knows how to engage her community. The secret? Ask questions! She ends her posts with questions about what her followers are reading, where they like to read, and more. 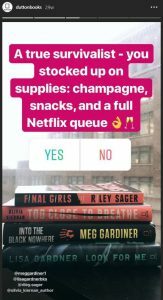 Readers love talking about reading, and Megan is giving her followers a way to interact with her account, and with each other. It also doesn’t hurt SEO. Women & Children First is a bookstore in Chicago that has been stocking books by and about women (and for children) since 1979. 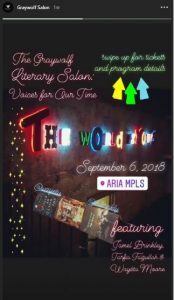 Their Instagram page is chock full of events held at the bookstore–you can look at their account and see that they host author interviews, drag queen storytime, and multiple book clubs. The community centered around Women & Children First is clearly vibrant and passionate. Keeping tabs on indie brick and mortar shops is a great way to see how bookstores are serving the needs of their unique communities and can help you craft specific pitches to different kinds of booksellers for different kinds of bookstores. 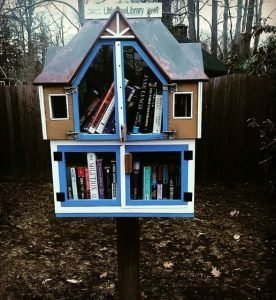 Have you ever seen a structure on someone’s front lawn with a small lending library inside? You likely have Little Free Library to thank for that. Little Free Library is a small non-profit that fosters neighborhood book exchanges all over the world. Their mission is based on hyper-local community reading needs, but they use Instagram to keep the global Little Free Library community engaged with the project, and, if you look in the comments, with each other. Founded by Glory Edim, Well-Read Black Girl is an online newsletter and social media community highlighting the work of black women authors. 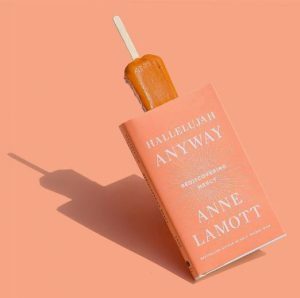 It has also blossomed into an in-person book club and an annual festival in Brooklyn featuring author interviews, panels about writing and self-care, and more. Well-Read Black Girl’s Instagram is full of photos of book recommendations, author quotes, and photos from in-person events. It highlights a vibrant and engaged community that is communicating on multiple platforms in a variety of ways. A digital book club for predominantly millennial women readers, Belletrist was founded by Karah Priess and actor Emma Roberts. 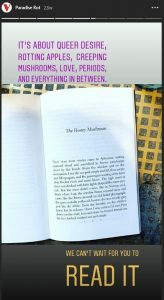 Their Instagram account is full of links to author interviews, check-ins with their book club readers, and collaborations with other book-loving Instagram accounts. Belletrist was started by two best friends, and the conspiratorial, friendly tone is reflected in their social media presence. It feels like a conversation with your friends, inspiring lots of follower engagement. 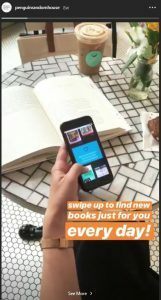 Belletrist also makes great use of live features on social media, both in Instagram stories and on Facebook Live, premiering new book club picks in a livestream, encouraging their audience to tune in all at once and all together. Graywolf does a fantastic job of marketing its titles on Instagram. Graywolf promotes its titles with visually appealing, color-coordinated shots. The trick is that they post multiple shots of the same title, creating unique pieces of content while keeping the branding consistent. This tactic keeps the information feeling fresh while also keeping their titles in the feeds of their followers, and hopefully top of mind when they go to the bookstore. An iconic library and cultural institution, the NYPL’s Instagram is a mix of serious shots of their massive collection and casual celebrations of its community of patrons. They post vintage index cards full of questions that patrons have asked librarians (subtly reminding us all how vital librarians are to their communities!). The NYPL also spearheaded #BookfaceFriday, where some of their librarians and staffers match their faces or their surroundings to a book cover. The trend has spread and NYPL reposts photos from other libraries, creating cross-library awareness and goodwill. It’s a great reminder to be creative with your photos, and to have a sense of fun with your visual marketing. Highlighting books designed by women, this feed is full of beautiful book covers. If you are a self-publishing author, get inspired by these innovative and effective images. If you work in book design, take a look at new trends in the field. Even better, if you are a designer in New York City, follow this account for their live meetups and networking events! Marley Dias has been on the literary scene since 2015, when, at the tender age of 11, she began a campaign called #1000BlackGirlBooks, calling for more children’s books about black girls (she complained to her mother that she was given mostly books about white boys and their dogs to read in school). She has been promoting better representation in children’s books ever since, interviewing other creatives, writing a book, and going on book tour. Keep an eye on her and on other young voices who are the next generation of literary tastemakers. Jen Pastiloff, author of the forthcoming On Being Human, has an Instagram presence that shows some of the less glamorous moments in her life, like wearing pants that still have their tags on them and eating a tupperware full of goldfish crackers for dinner. Her account is relatable, and very personal. She posts photos of her family, including her young son. 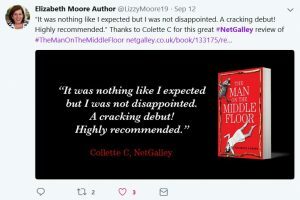 It helps her audience connect with her at an intimate level, rather than purely a professional or literary one. 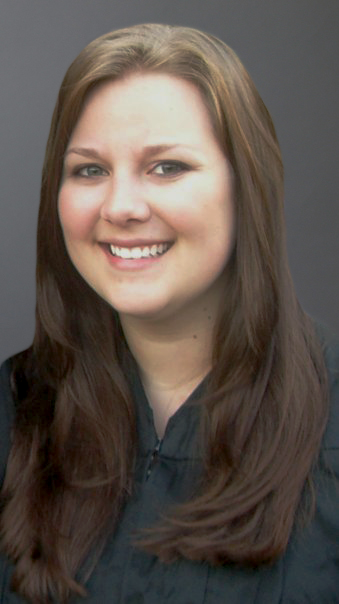 Not all authors will want to divulge their personal life, but for those who do, Jen’s account is a great model. 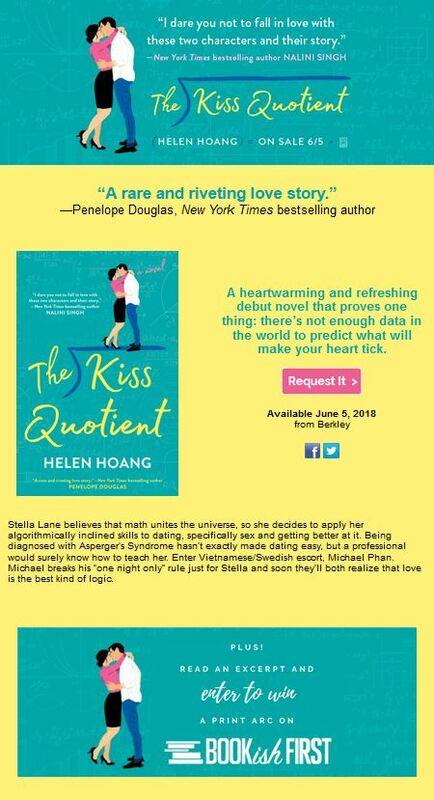 You can always also keep up with NetGalley and Bookish on Instagram, too! How have you used Instagram to market your titles or engage with your audiece? Let us know by emailing insights@netgalley.com We’d love to feature stories from our publisher and author community for future stories.